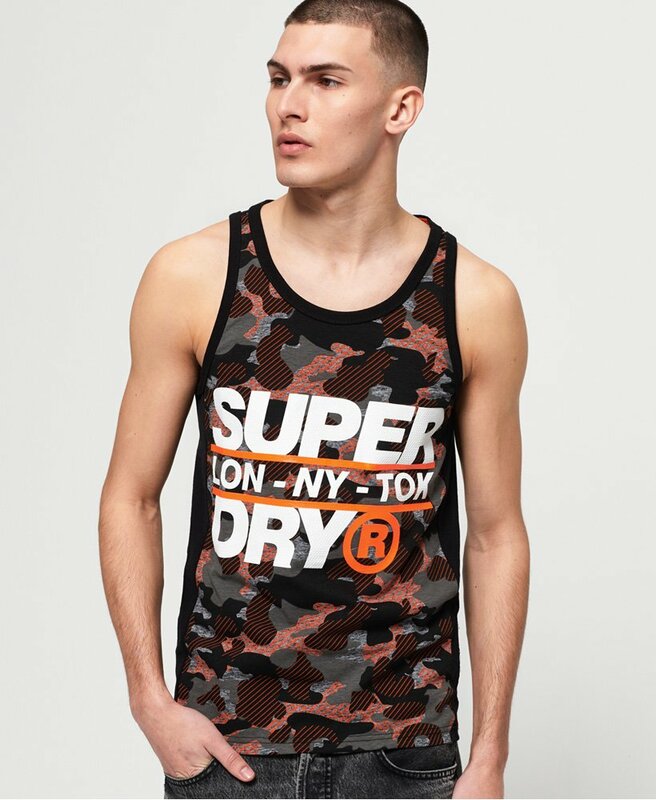 Superdry men's Trophy camo vest top. This vest features an all over camo print design on the front with a textured Superdry logo across the chest. Finished with a rubberised Superdry logo badge on the side seam.